With the Accent principle CDT Audio introduces a new audio vista in car stereo. 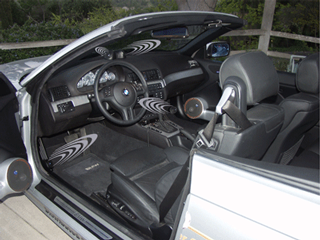 These systems average out acoustic discontinuities in the car’s interior. Inevitably different spaces where your drivers are installed will favor the closer listener or be altered by interior seating and contours in the car. The CDT Audio solution for these discontinuities is to provide contributions in subtle proportions from various places to make the performance as near optimal as possible to all listeners and with all musical material. This is visually analogous to having some light everywhere without glare or shadows. 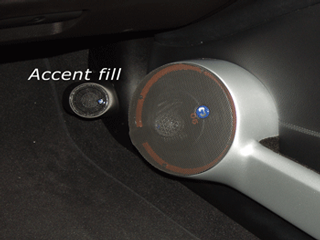 Smooth out the sound in your car today with a CDT Audio Accent System. 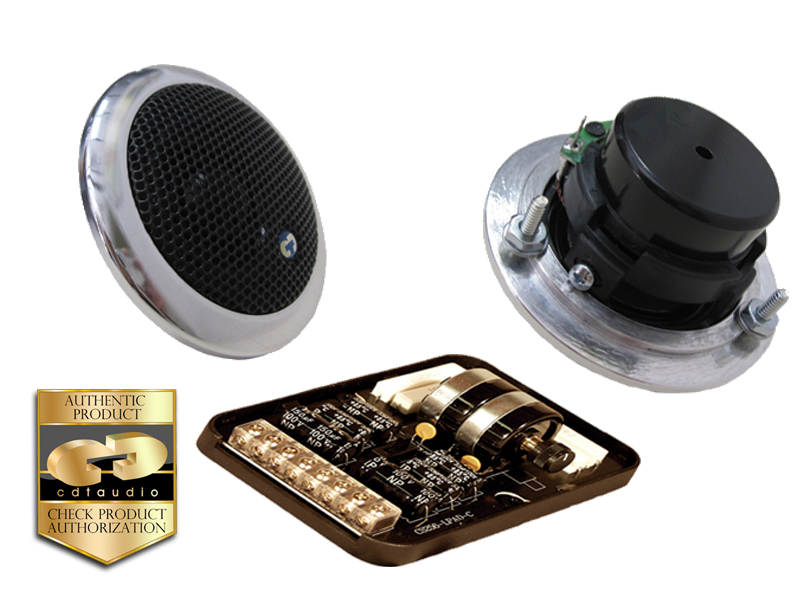 Additional speakers may be applied in specific locations with an attenuating filter (CDT CS-256) for adjustability to provide an attractive accent to the sound analogous to accent lighting in a display. Adjust every level any way you desire effortlessly. 1 e/a system interface control unit w/ level control. This system ultimately lead to maximum fulfillment for all listeners virtually bathed in optimized sound. The openness, ease and fullness are a revelation. As in any fine instrument you will want to employ precision calibration after the installation. Each step is beneficial by itself and acts synergistically with the CS-020X CenterStage system to yield a natural ease that may be unique. No additional amplifiers or crossovers are required. Everything is supplied in the kit. Nothing existing needs to be removed – all components are additional. However, if upgrading to CDT Audio components feel free to replace any existing components.